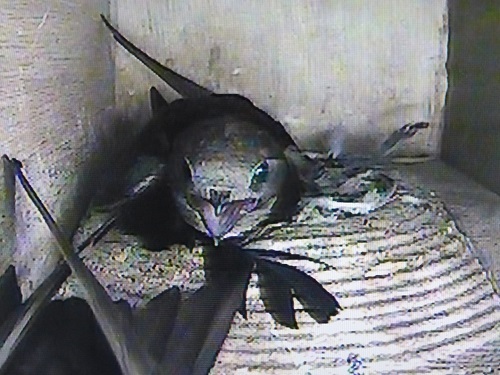 A selection of photographs from my Swift nest box camera. 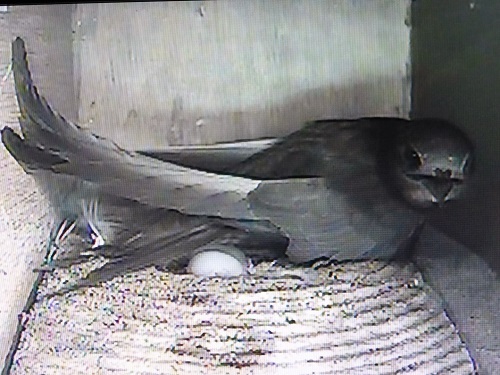 The 2 eggs should hatch any day now. 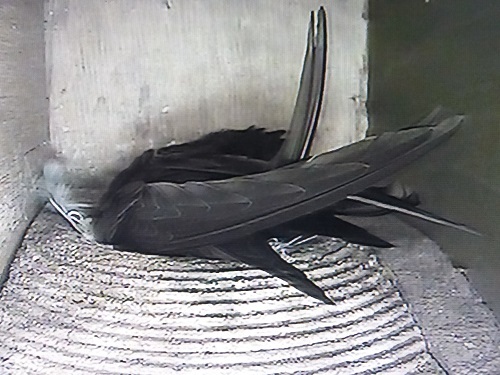 The young will fledge in about 6 week’s time. 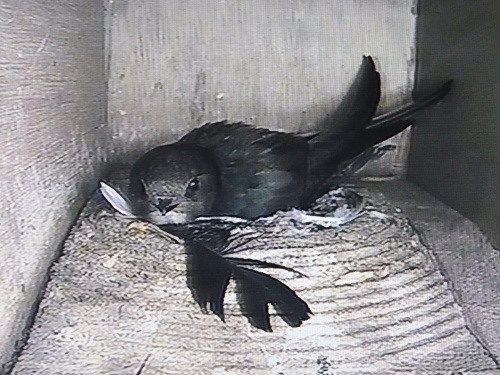 The photographs of Swifts screaming show the birds reacting to non breeding Swifts who are checking out potential nest sites. These younger birds are not yet mature enough to breed and are probably also practicing approach and landing. Lovely views of a Spotted Flycatcher yesterday. 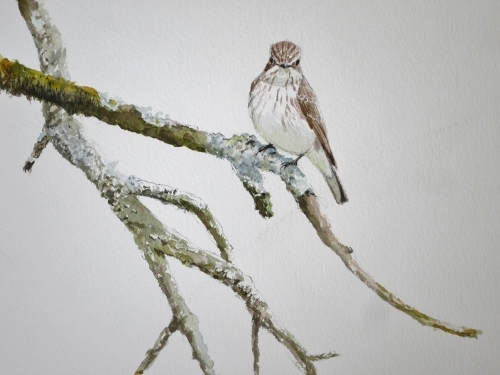 How is it that Spotted Flycatchers have become so scarce? Every park, churchyard and large garden used to have a pair. They have a subtle beauty, with soft expression and elegant shape and for their graceful aerial sorties to catch flying insects. 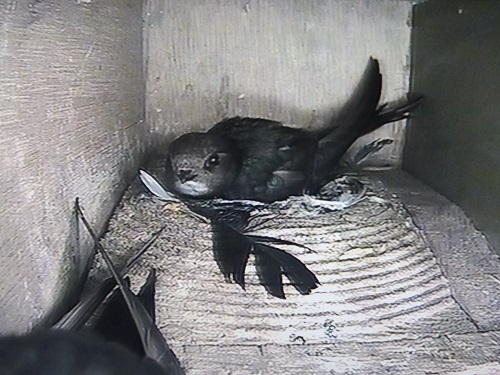 They cost me a grade or two in my exams, because rather than revise I would gaze for hours at the pair that used our open fronted nest box. I was transported today, back to my early days of birding when using my old Swift binoculars I would sketch and note their every move as they shared our garden in Summer.